The Cost Of Owning A Dog - Can You Afford It? If you're taking the time to research the cost of owning a dog, you've already taken the first step towards being a responsible dog owner! Being prepared for the effect that adorable puppy (or that irresistible rescue dog) is going to have on your bank account will help keep your new best friend happy and healthy. Plus it will protect and strengthen your relationship and reduce the anxiety and stress of unexpected bills and purchases. Did you know that many puppy owners completely underestimate the cost of dog ownership? Would you be surprised to learn that this can have a long-lasting effect not just the puppy's health and welfare, but also on the relationship between puppy and owner... and of course on the unsuspecting owner's wallet? No matter how expensive (or inexpensive) your new family member is initially, it is just a drop in the bucket compared to how much you'll be spending over the next few weeks, months and years. Your pet is totally dependent on you for everything, and to take care of your pup properly you're going to need to invest a lot of time, patience, love, hard-work... and money. Sadly, sometimes this can even lead to puppies/dogs dying because they don't get the nutrition or veterinary care they need, being surrendered to shelters/pounds or even abandoned to fend for themselves. Of course new owners start out with the best of intentions, but a lot of worry, frustration, heartache and even tragedy could be avoided by their doing just a little research before bringing that pup home. Of course everyone knows that there will be money to pay out when they first get a dog or puppy. There's the initial cost of the pup, basic supplies such as a collar and toys, and 'consumables' like dog food, treats etc. Surely those can't cost too much, right? WRONG! According to the American Pet Products Association, in 2012 American pet owners spent over $53 billion on food, veterinary care, kennels and other services... yes, that's 53 Billion dollars. AND they expect this figure to increase by about 4% in 2013. Wow. Of course, you're looking at cats, small pets, birds, fish etc. in those figures too, but with almost 40% of US homes containing at least one dog, a lot of those dollars are dog-related. Veterinary care is a big expense that is often overlooked, or underestimated, when you're considering the cost of owning a dog. 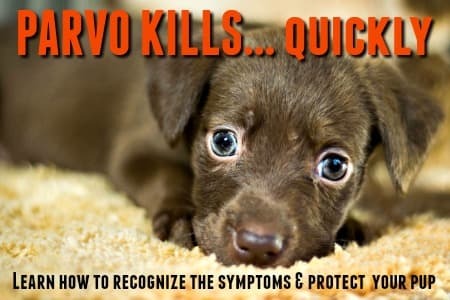 Puppies need several sets of vaccinations (and adult dogs need annual 'boosters'), they also need regular and ongoing preventative treatment for parasites such as canine worms and fleas/ticks. The APPA (whose figures I've used above) estimate that vaccines and check-up visits alone cost an average of just under $250 per year. No matter how careful you are, accidents and illnesses can (and do) happen, and if your pup falls seriously ill, has an accident, develops a chronic condition or needs surgery, then the costs can be substantial! Your pup is going to eat a LOT of kibble over his lifetime, and making sure he gets a good quality puppy food or dog food is hugely important. A poor diet can lead to all sorts of issues including growth/developmental problems, skin irritations, dog food allergies, digestive upsets and more. Premium food is essential, but it isn't cheap! Oh wow, there are so many doggie products to choose from! The pet supply industry is booming, and the selection of beds, toys, collars and ID tags, treats, clothes, accessories and so on is HUGE. It's frighteningly easy to spend a lot more money that you expected to on 'extras'. .....the list goes on and on. Whether you're paying $2000+ for a show-quality purebred puppy, $75 or $100 for a pound/shelter dog, or zero dollars for a pup from the neighbor all affect the bottom line for those first year costs. Wherever you fall on this scale, I can promise you that there is no such thing as a FREE puppy! Even if you don't have to pay to take your new pet home, the bills will soon be piling up and there's always a cost of owning a dog - even if it's deferred. These play a big role! 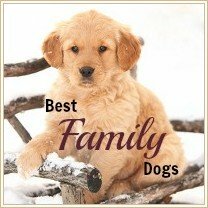 Obviously the younger the pup, the longer you can expect him/her to be a part of your family, and that means higher cost of dog ownership overall. Smaller breeds tend to live longer than the large or giant breeds, and a little dog may live on average for 13 - 15 years, where an X-Large or giant breed may only live for 7 - 9 years. 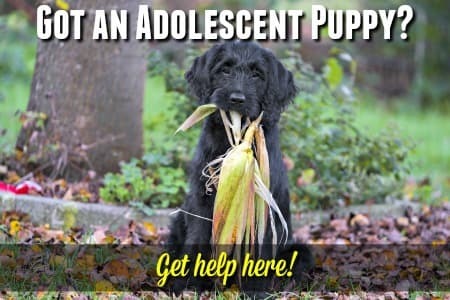 Some breeds are more prone to health problems than others (a mixed breed pup is likely to be the healthiest choice in this respect), and although all purebreds have breed-specific weaknesses some are likely to be more costly - or show up more frequently - than others. 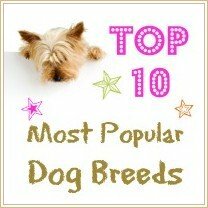 So, it pays to research dog breeds and choose wisely. Also, the cost of owning a dog is often higher with large and giant breeds. That's because big dogs can cost more to raise than small ones because they need more of, or the Large or X-Large size of, everything - and there can be a huge difference in price when that happens. However, there is a flip-side to this too. Extra-tiny or 'teacup' sized breeds can suffer from more health problems than their moderately sized cousins because of their unnaturally tiny size and frailty. Choosing a healthy puppy in the first place can save you money in the long run because you're less likely to run into health problems right off the bat. Also a pup whose been properly cared for before you bring him home is likely to have had at least some vaccinations and parasite prevention, have been fed a quality diet and kept away from possible contagious diseases. This is a big plus too. If you choose a long-haired breed then you can expect to be spending extra money on grooming tools and accessories, and probably trips to the doggie spa or salon too. The cost of owning a dog who's going to be a working pet, or compete in shows or sports, are above average because of the extra expenses involved. Equipment, travel, time, training.... it all adds up. If you travel a lot and can't or won't be taking your dog along with you then there will be bills for boarding or pet-sitters. If you want your little guy to spend a couple of days a week (or more) at Doggie Daycare that's going to cost money. 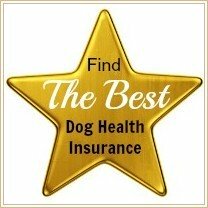 Yes, that's right... your location could have a big impact on the cost of owning a dog! Just as the cost of living for people varies from state to state (and from country to country) so does the cost of dog ownership. Veterinary costs are often affected the most, but general pet supplies can also cost more in some areas. In the USA for example, it could cost someone living in New York three times as much to raise their dog as it might cost me in the rural 'heartlands'. Parasite prevention is also more costly in some areas than others. Arid, dry climates don't have as many mosquitoes, ticks or fleas as the warmer, wetter areas. Northern states have shorter summers and therefore less time for insects. Some parts of the country have bodies of water where Giardia is more likely to occur, if you live in a tick-infested area then Lyme Disease vaccinations may be recommended. There's no one-size-fits-all formula for working out the cost of dog ownership because there are just so many things that affect the numbers, but it's a subject that has been looked at closely. Using research done by the ASPCA and other leading pet organizations, and relying on decades of personal experience of raising and caring for dogs, I've come up with some figures that will give you an APPROXIMATE idea of how much that new pup might cost you over his lifetime. Bear in mind that these are averages and so your costs might be higher, or lower. Now, that's a fair bit of money in anyone's books. But, let's take a look at what the cost of owning a dog adds up to over those 12 years of this fictitious 'average dog' lifetime! Without the 'extras' on the end there. And that's not taking into account the cost (or lack thereof) your puppy in the first place. See what I mean when I say there's no such thing as a free puppy? And remember, these figures are for an averagely healthy dog, they don't take into account any additional vet bills for long-term or serious illness or injury! 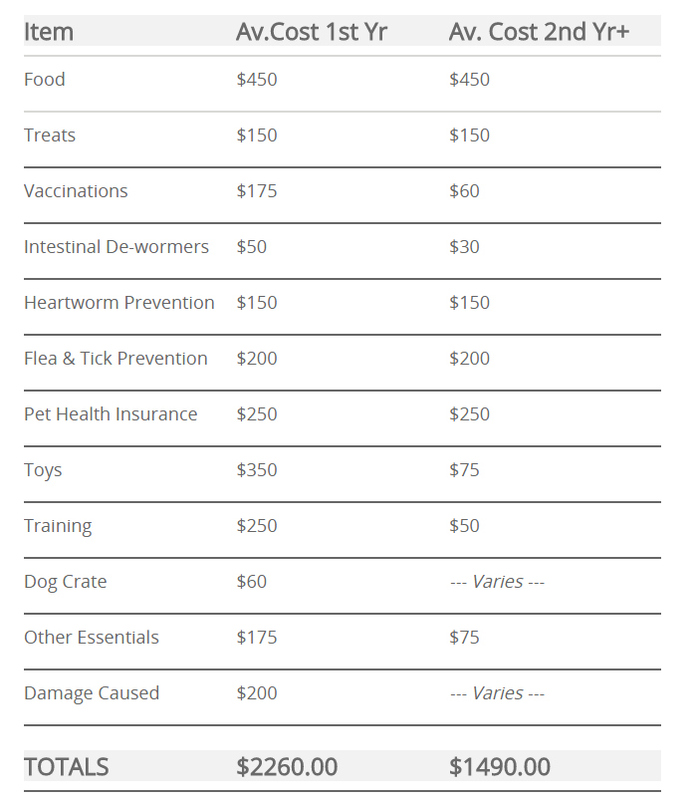 This page is all about the cost of dog ownership - in dollars and cents (or any other currency for that matter), and I think it's very important that every potential new dog owner realizes what sort of financial costs they're looking at. But of course, you're not going to be shelling out thousands of dollars from day one, it builds up over time, month after month, year after year. The totals look frightening (and you need to be prepared for this amount to be spent, most likely more than that actually) but it's a kind of drip-drip-drip expense, not a one-off event. Dogs are NOT inexpensive to keep properly, but they repay us in so many ways that to me they're actually priceless. It's said that 'you can't buy love', but when it comes to dogs I don't think it's true because your dog gives you unconditional love for his entire lifetime! And he throws in a whole lot of loyalty, friendship, comfort and enjoyment as well. 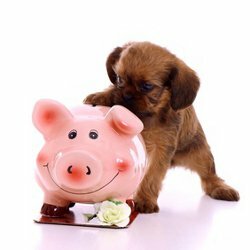 To help you work out the estimated annual cost of owning a dog, I've included a link to a handy little tool that allows you to put in your own figures. It's actually been designed to help the potential owners of shelter/rescue dogs understand the type of financial commitment they're making (because sadly many adopted dogs get UN-adopted again when their saviors find out how much they cost to keep! ).